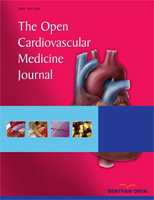 This review provides an up-to-date summary of the evidence from clinical and epidemiologic studies indicating that persons with post-traumatic stress disorder (PTSD) may have an increased risk of coronary heart disease and possibly thromboembolic stroke. Persons with PTSD, a common anxiety disorder in both veteran and nonveteran populations, have been reported to have an increased risk of hypertension, hyperlipidemia, obesity, and cardiovascular disease. Increased activity of the sympathoadrenal axis may contribute to cardiovascular disease through the effects of catecholamines on the heart, vasculature, and platelet function. Reported links between PTSD and hypertension and other cardiovascular risk factors may partly account for reported associations between PTSD and heart disease. The associations observed between PTSD and cardiovascular diseases have implications for cardiology practice and research. Keywords: Anxiety disorders, coronary heart disease, hypertension, hyperlipidemia, post-traumatic stress disorder, stroke, veterans..
© Steven S. Coughlin; Licensee Bentham Open.